I have a small amount of fabric for sale, this material has not been made into anything and comes straight off a bolt. 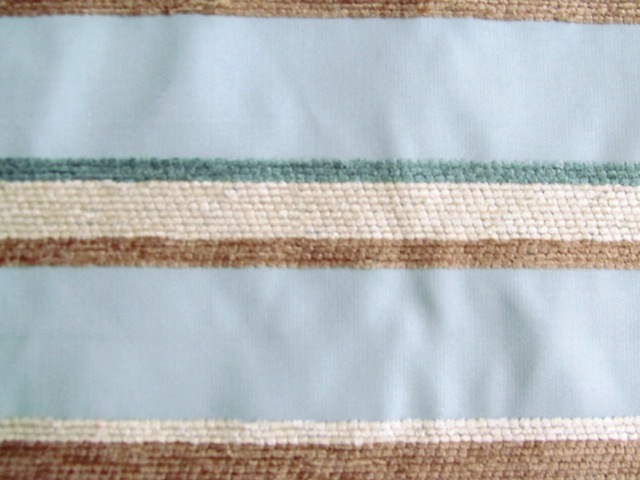 It is good quality medium weight furnishing fabric that will make lovely soft furnishings. 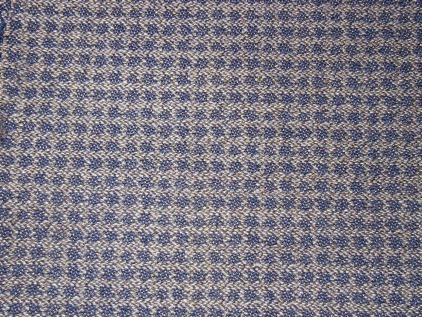 The price (including delivery) = £4.00 per metre. If you need a larger quantity please contact me. 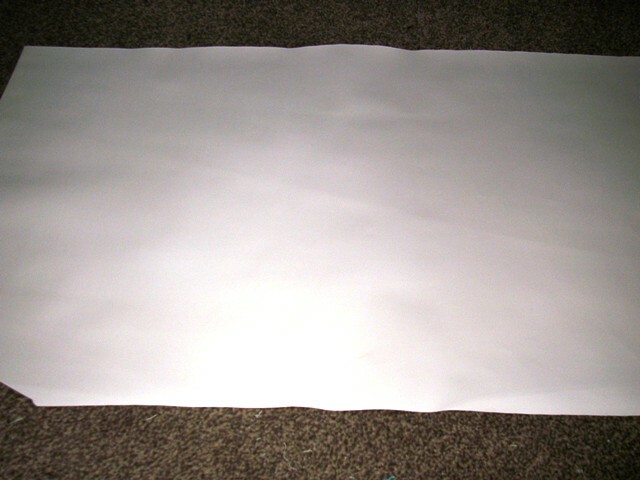 It is very hard to show this fabric in picture form as it is Ivory or Light cream Leatherette. 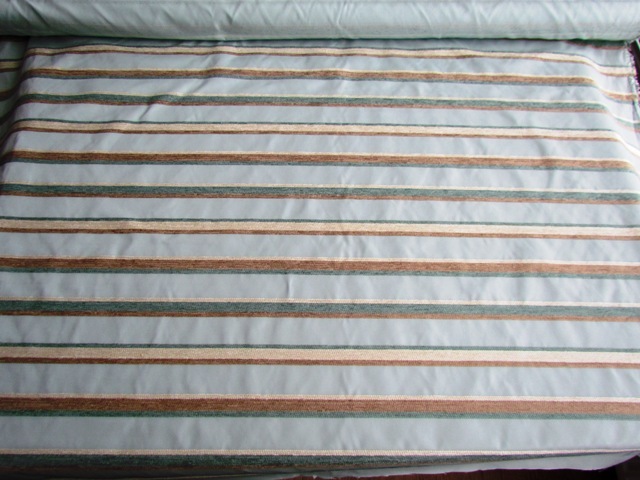 The width is 50 inches (127cms) wide and is a good strong versatile material for upholstery or craft. 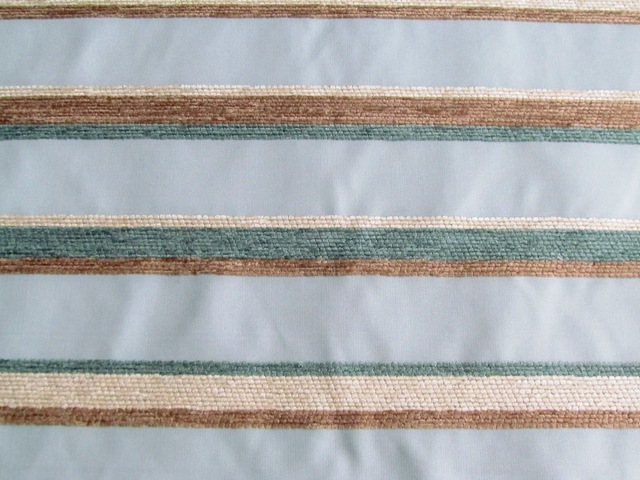 This fabric is unusual as between the rows of brown, teal and cream stripes the fabric feel like a satin / polyester mix. This is a light to medium weight fabric. It would make very striking cushions and would also give a different texture having that shiny look and feel. I also have some large pieces of fabric that are new and have never been made up into anything. These are priced individually for the full amount. 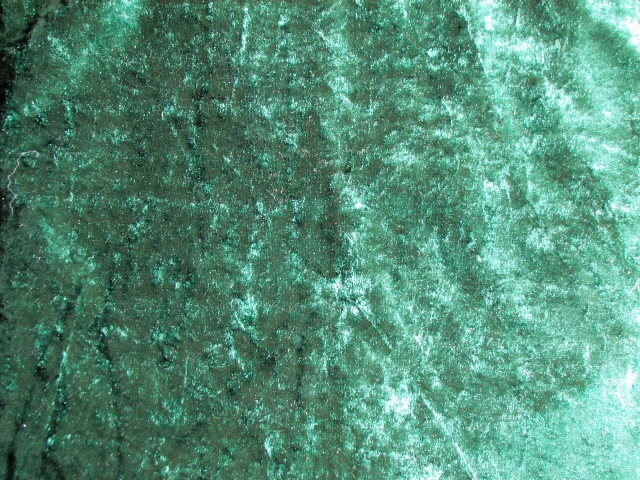 This lovely crushed velvet is lightweight and more like a dress fabric but can be used in craft work as well. The colour is a Jade or bottle green. Such a luxurious look and feel to this fabric.